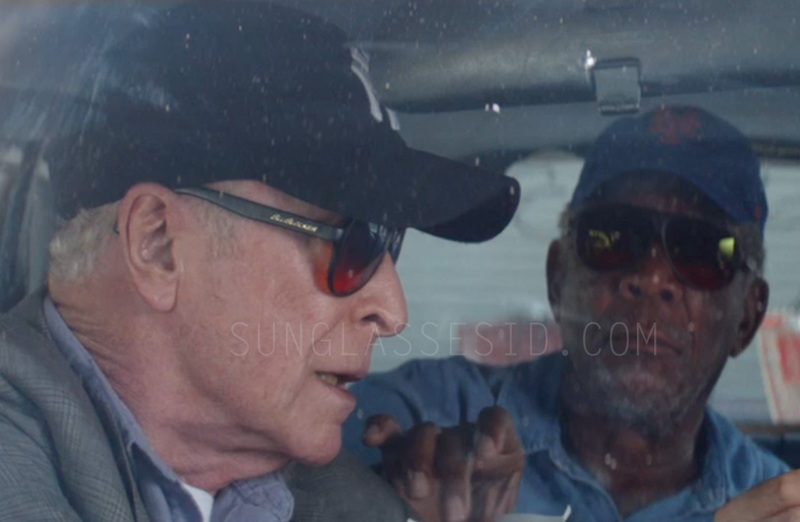 Michael Caine wears black BluBlocker sunglasses in the comedy film Going In Style. Michael Caine wears black BluBlocker sunglasses in the comedy film Going In Style (2017). The same shades are worn by Morgan Freeman in the film. These vintage black nylon BluBlockers are affordable sunglasses ($33 at Amazon), which became popular due to late night infomercials a song by Venice Beach freestyle rapper Dr Geek. In 2009, the glasses became internationally famous due to their appearance in the comedy The Hangover, in which Zach Galifianakis wears the sunglasses. In The Hangerover, Zach wears the glasses in the color Demi-Tortoise, while the glasses in Going In Style have a Black frame.